We continue to invest in the machinery to best serve our valued customers The last addition to our grinding department is a year 2012 grinder. 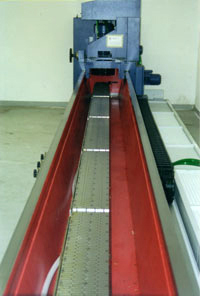 Our state of the art precision grinders with full flood coolant systems do a beautiful job sharpening. With a length capacity of 326 inches we can grind your rotor knives together for a closely matched tolerance over the entire set. When it comes time for replacement knives, we can offer replacements from a variety of materials such as D-2, A-2, Cru-Wear, Modified A8, M-2 or even powdered metals such as CPM10V. 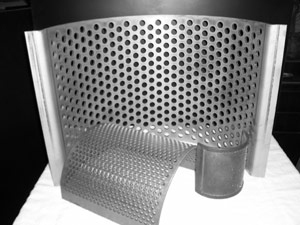 We can offer other wear resistance increasing solutions such as Cryogenic Treatment, Carbide Spray Coat and other coating solutions, as well as Carbide Inlay. We utilize our in house testing equipment to determine the chemistry of your current knives to present you with an equivalent or superior material for your application. If glass filled material is giving you a headache, perhaps give carbide spray coat a try. We have many customers who have found carbide spray coat to be an efficient solution to the wear and tear glass filled materials bring to your knives. Our friendly, experienced and knowledgeable sales staff at Midwest Knife Grinding, Inc. will provide you with the proper knife or screen for your application, most available from our in-house stock. 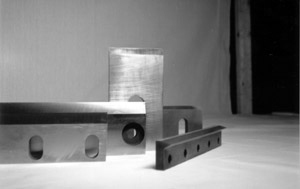 We will meet your requirements manufacturing replacements from a variety of steel materials such as D-2 or other specialty steels. 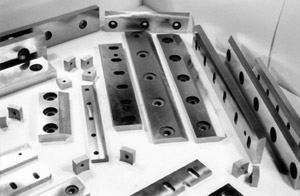 Special coatings, Carbide Inlay and Cryogenic Treatment are also available. Items not in stock can be manufactured with a honest lead time. 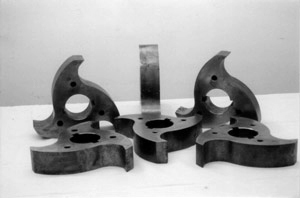 Midwest Knife Grinding, Inc. offers a wide variety of granulator knives used in many of the recycling industries. Don't see your knife listed? Give us a call, this is only a partial list. 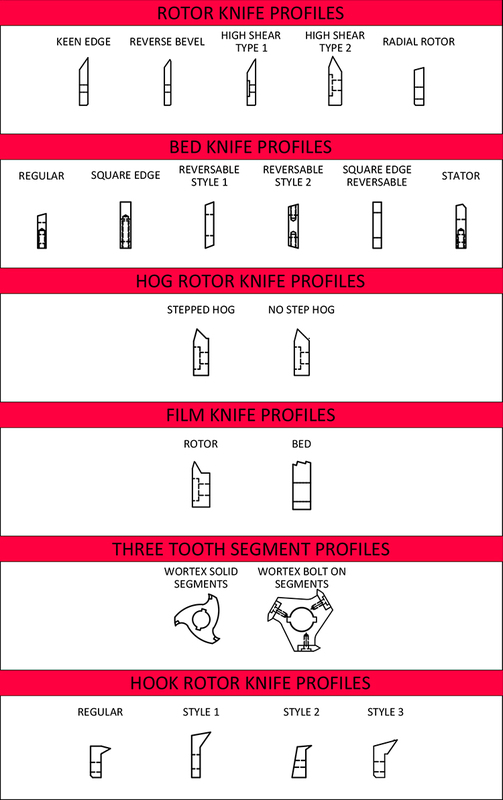 Review of OEM minimum size requirements and/or special customer instructions prior to sharpening. Thorough cleaning and complete inspection. Re-sharpen blades with minimal removal to extend blade life. All knives will exceed OEM specifications after sharpening. Quality control documentation and final inspection for prompt return. All granulator knives are sharpened in sets, ground within .003 matched size and parallelism.